Quite simply, it is the ability to deliver a course to your team at your company's convenience. BVCA courses are applicable to in-house training, saving you money, time and ensuring consistency of knowledge across your team. Why would my company benefit from in-house training? In-house training is driven by the needs of companies who see value of BVCA training courses across a group of people rather than just an individual. 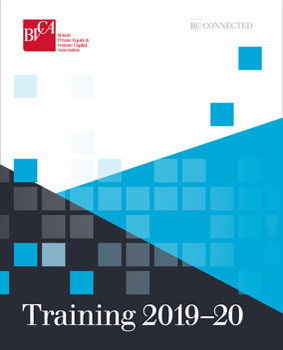 If you have a group of new employees wh oall need to be up to speed in a certain subject area, or if there is a new skill your team should have then BVCA in-house training is highly recommended. The course is great but we need a bit more focus in one area, what can we do? If a company is looking for something that it is more flexible and bespoke to directly meet the needs of its employees the BVCA can cater for this. Working closely with your company, tailored content can be developed ensuring a client-centred training training programme is delivered that meets your full requirements, on budget and on time. I don't see a course that I'm looking for; what can I do? Let us know. If our range of courses currently on offer do not meet your needs then get in touch so we can discuss the development of a bespoke course to meet you key objectives. What kind of bespoke programmes have you created before? Some examples of bespoke programmes we have created include: Winning Business, Introduction to Venture Capital, Psychometric Testing, Presentation Skills, LBO Modelling and Evaluating, Evolving and Working with Management Teams.